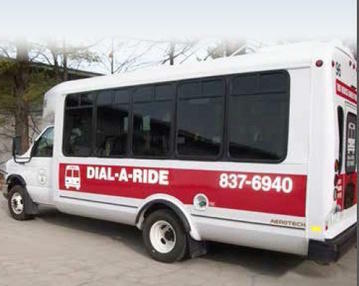 Dial-A-Ride Transportation (DART) provides demand-response public transportation for travel within the city limits of Midland. 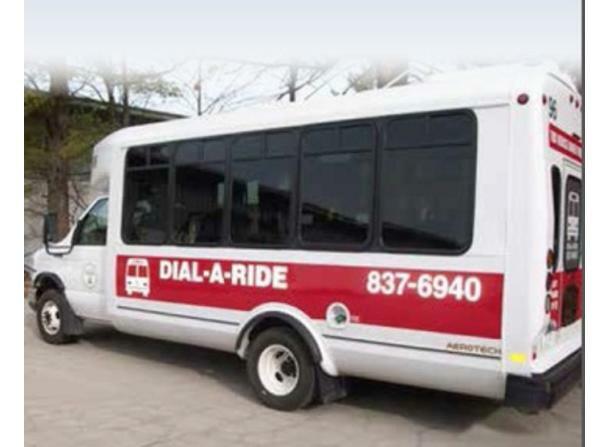 Patrons can call Dial-A-Ride on a one-time basis or schedule regular, recurring pick-ups. Call DART at least 60 minutes before you need to be picked up, and plan on a 25-minute bus ride to your destination. Ride times may be longer during busier hours. Reduced fairs available. Call Dial-A-Ride at (989) 837-6940 to schedule your ride.